my husband and i just went to our first holiday dinner party of the season with a handful of our closest friends. it was potluck-style, so each of us girls brought several dishes. i brought the i-can’t-stop-eating-it marinated cheese, sweet potato pudding and this amazing dessert from the picky palate. it’s now one of my favorite holiday desserts. mainly because it has this cinnamon roll buttery-sugary-icing going on that makes me now crave it all year long. simply said, it is melt-in-your-mouth, butter and brown sugar gloriousness. 1. preheat oven to 350. spray a jellyroll pan with non-stick cooking spray. 2. place cake mix, eggs, oil, buttermilk, pudding mix, sour cream and pumpkin in a large bowl (or the bowl of a stand mixer) and beat with a mixer until well combined (about 1 1/2 minutes). 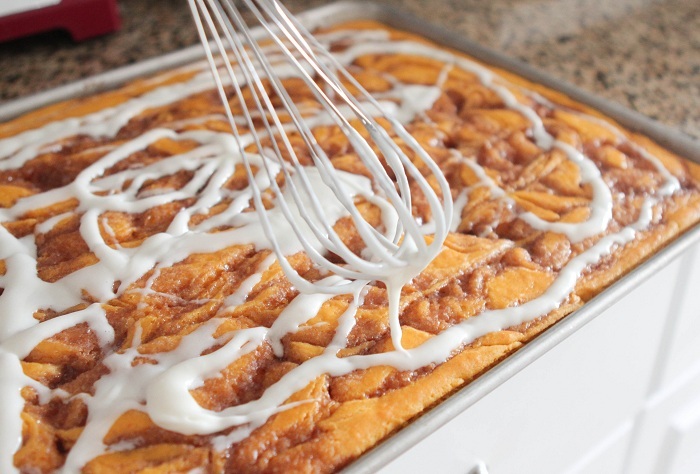 pour into prepared jellyroll pan, spreading evenly. 3. place butter into a microwave safe bowl and melt, about 30 seconds. add brown sugar and cinnamon to bowl, mixing until combined. 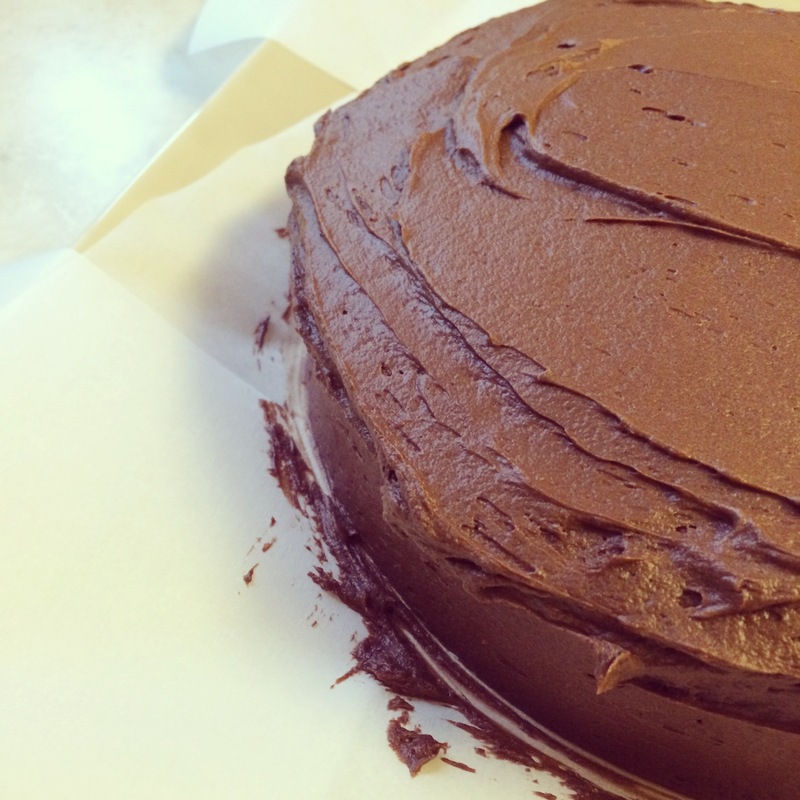 drizzle mixture evenly over the cake, then take a knife and run it through to swirl.